Model Code RB3025 L2823. 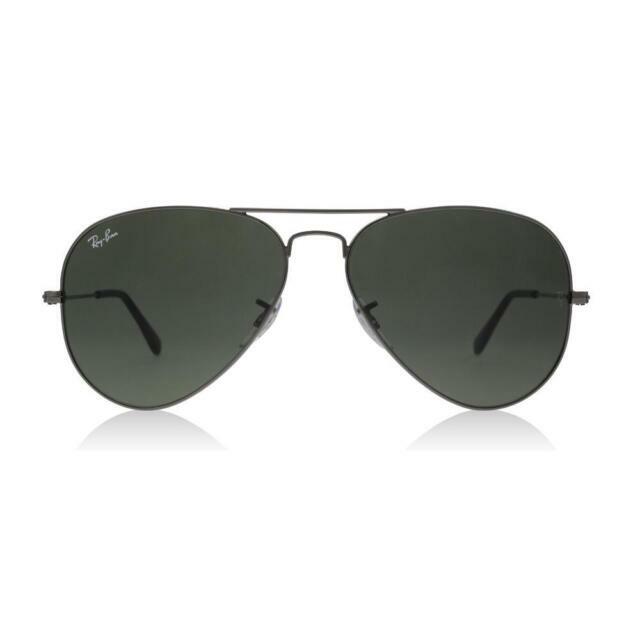 Reflect your style with Ray-Ban Aviator Flash lens sunglasses, one of the most iconic sunglass models in the world. Shape Pilot. Lenses Classic Dark Green. Apple's Steve Jobs and his British designer, Sir Jonathan I've saw the world stop with their jaw dropping launch of the iPad in 2010. The bestselling designer eyewear brand in the world, Ray-Ban offers a selection of popular styles and innovative technologies that have inspired a loyal following. Go for these stylish black frames for a versatile look that works in any season. The metal material provides an impressive blend of comfort and durability. Revitalize your wardrobe with a pair of new aviator men's sunglasses. Choose these durable Ray-Ban shades for a mix of cool style and long-lasting comfort. Stylish and comfortable, these aviators are an attractive addition to any accessory collection. Equipped with 100% UVB protection, the lenses keep rays responsible for serious ailments away from delicate eyes. The anti-reflective coating is ideal for reducing glare in sunny environments and it also makes these lenses easy to clean. The lenses are tinted with a dark gray tone that filters out unwanted rays of light and transmits colors evenly. Excellent sunglasses everything you expect from ray ban look good feel good and work very very well. Would recommend these sunglasses every time. These glasses are exceptional for driving and flying. Excellent quality, delighted with the purchase, just worried about leaving them / losing them. Pure class! !